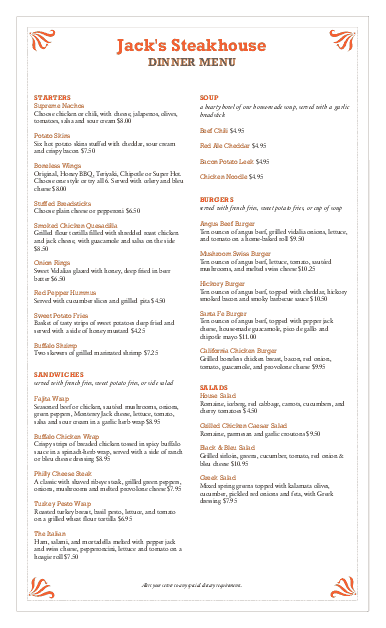 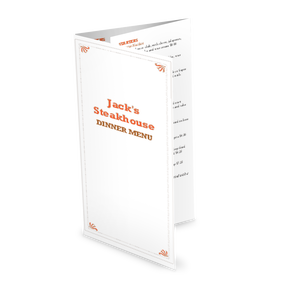 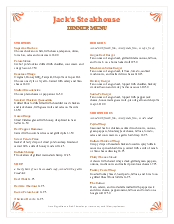 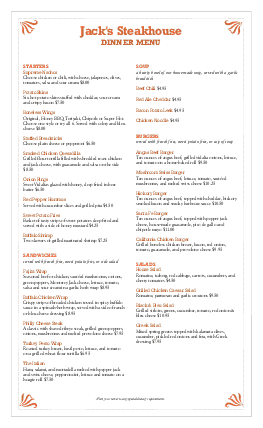 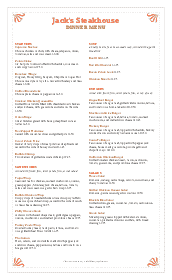 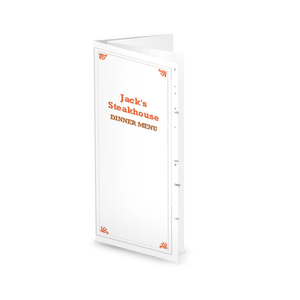 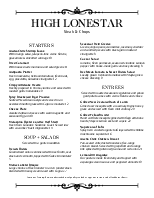 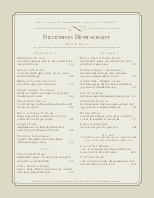 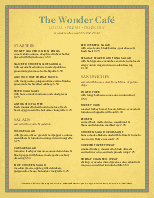 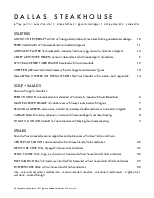 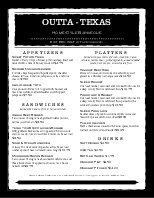 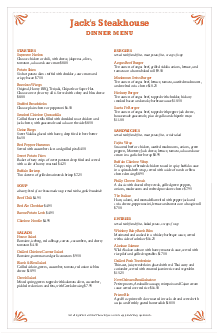 A steak seafood menu in legal size with an upscale western style, featuring a narrow gray border and small orange flourishes in each corner. 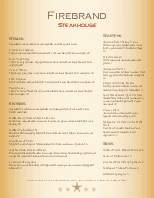 Two columns list steakhouse or seafood cuisine. 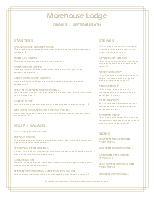 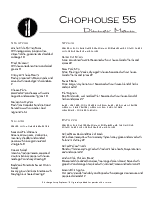 Update this menu template online using the Menu Editor.